OLD PARKED CARS. 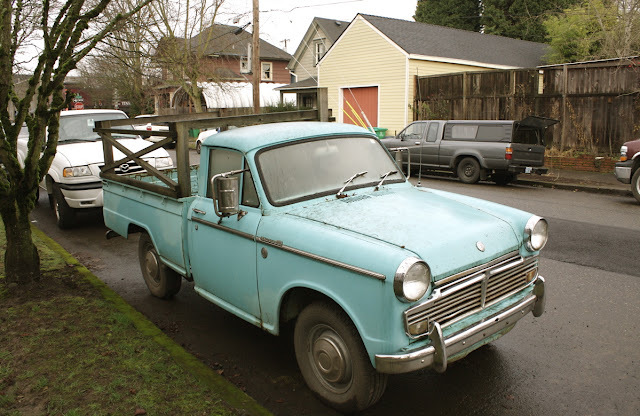 : 1964 Datsun L320. That is really, really cool. I wonder if the person who owns it thinks "I am cool" when they drive it. Or maybe they just take it for granted. This thing is almost 50 years old. That blows my mind that it is still on the road. Where are we, Cuba? Kudos Tony. What a find. 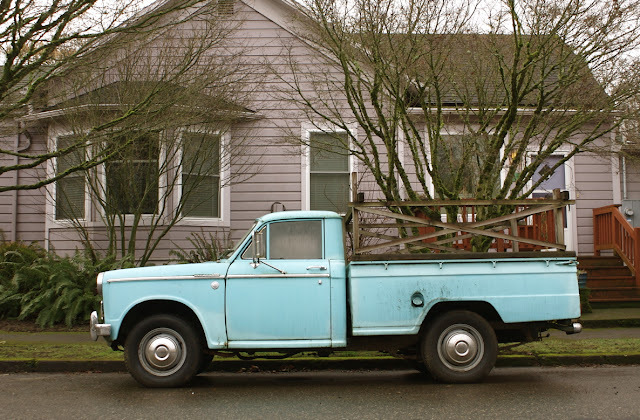 I love everything about this truck. I am so impressed that it remains in such good shape and is a daily-driver-work-horse. It looks like it should be driven by Wallace and Grommet! Love the look of that truck - wish they still make compact pickups like this one. 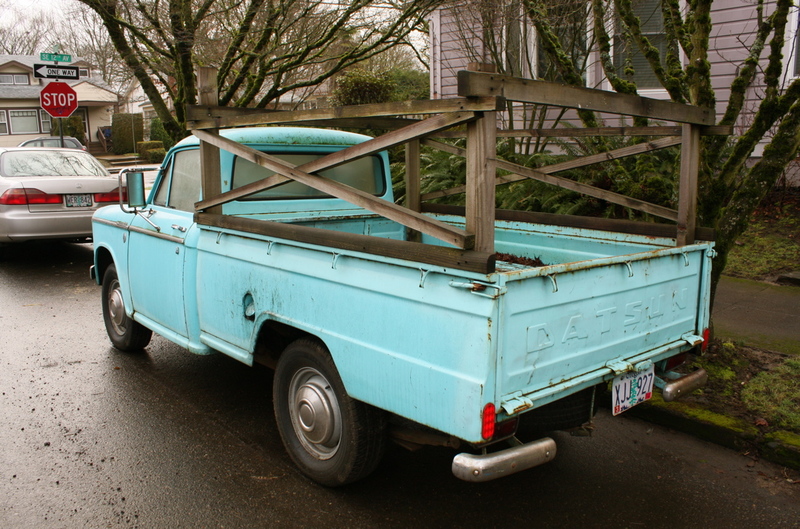 I had wood brackets like that on my truck - great for hauling the kid to college. Great patina, and it sure deserves the "nice rack" tag. What a cartoon character. I'd be scared to see all that wood driving down the highway, but there's nothing better than picturing that putting around a neighborhood. That 60hp badge may be my favorite of all time. I can't believe how much integrity this body still exudes.